Zdravím všechny. Už dříve jsem si určila, že bych ráda zveřejňovala články v pondělí a ve čtvrtek (ne, že bych to vždy dodržela, ale určila jsem si to), a proto mě těší, že mé devatenácté narozeniny vyšly právě na čtvrtek. Minulý rok jsem na své osmnáctiny zveřejnila video "18 faktů o mně" a letos vám přináším opět faktové video, ale tentokrát s jedním faktem navíc. Takový typ videa bych ráda zveřejnila každé narozeniny tak uvidíme, jak dlouho mi to vydrží. Doufám, že se o mně zase něco nového dozvíte a třeba zjistíte, že máme něco společného. Hello everybody. Somehow, I decided to post on my blog every Monday and Thursday (I don't really follow that rule every time, but whatever) and I am really happy that my 19th birthday is actually on Thursday. 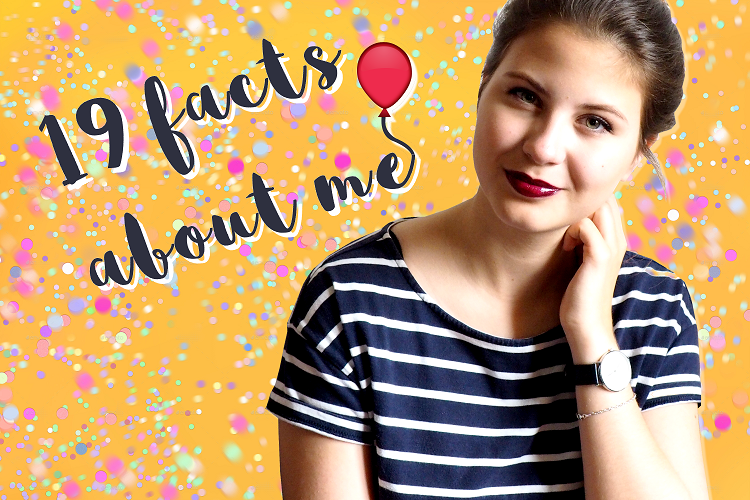 Last year, I came out with video called '18 facts about me' and this year, I am here with '19 Facts About Me'. Sadly, whole video is in Czech language so there is a huge possibility you won't understand what I am saying (unless you can speak Czech and let's say that's amazing, because Czech language is not the most attractive language option). Luckily for you, I decided to write-in all facts mentioned in video in this article. I hope it is a good option for you. Click on 'Keep Reading' to find out more about me. 1. 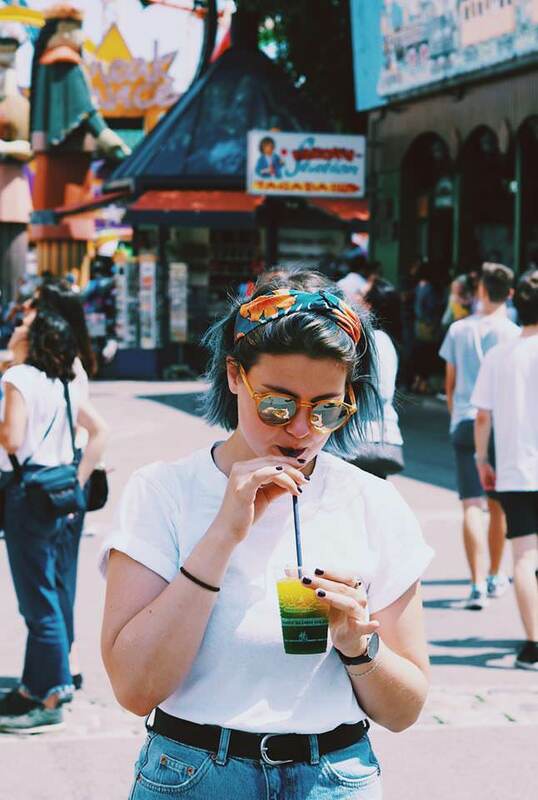 My jaw cracks while eating and sometimes it really hurts, but what can I do. 2. I like to use big numbers, but I can't read them. For example, if I am waiting for a long time I write someone "OK, I can wait for another 484754168 years, don't worry", but in fact I am not able to read that number. 3. I really like overly edited photos, especially contrast and clarity. 4. I don't like being around huge amount of people. I really like my space and that's probably because I am introvert. 5. I don't like when someone doesn't like me and has no bigger reason for it. 6. I don't like to be tanned. 7. I'm really reckless. First I do something and then I think about it. Sometimes it's not that bad, but it already cost me few troubles. 8. I'd like to play piano or guitar. 9. I believe in karma. I think everything we do will reflect in future. 10. I have to wear glasses, but I don't wear them outside of my house and that's why I always look angry. In fact, I'm not frowning, I'm just focusing things. 11. I'm planning my third tattoo and in future, I'd like to have my back covered in tattoos that somehow creates a story of my life. 13. I love Disney movies and songs. 14. In last video with facts, I mentioned I'm waiting for my natural hair colour to show and finally after many years, I have my natural hair colour back. 15. I can be really stubborn. I just don't do things I don't want to, because they don't make me happy. 16. Sometimes, I'm really moody/repulsive and shallow. 18. I have to write-in everything I want to do. If I don't write it, I forget about it even though it's something I am excited about. 19. If I have to buy something, because it's something that is needed, I want it to be pretty. I don't like spending money on things I don't like. And that's everything. I hope you found out new things about me and who knows; maybe we have something in common. See you soon in next article. Všechno nejlepší! Super video! Číslo 18, přesně já! Abych pravdu řekla, tak nějaké Tvé video vidím první a moc se mi líbí Tvé grimasy, prostě bomba. Hlavně ty na začátku videa, jak si tancuješ :D. Jinak se mi Tvá fakta moc líbí, jsi opravdu moc sympatická :). S tou tvrdohlavostí to mám stejně :D. A jak mluvíš o těch videích, tak to samé mám třeba u článků :D. Jak jsem to mohla vůbec vydat? !..